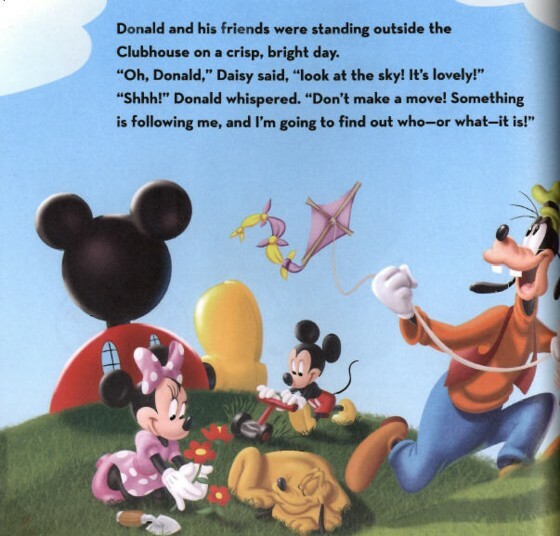 These "Mickey Mouse Clubhouse" books are better than you'd expect. Like the television show, they teach as well as entertain. 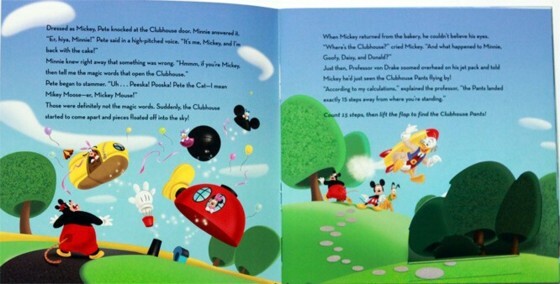 Each one, in fact, has a Parent's Page at the back, offering tips on how to help your youngster grasp the concepts in the text. 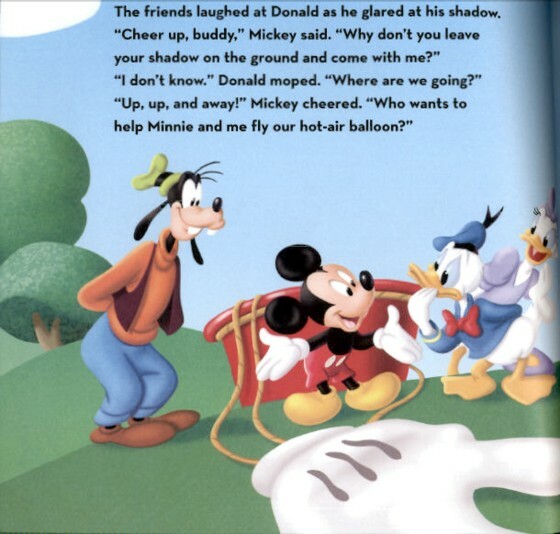 This one, subtitled "An Adventure in Shadows and Shapes," teaches kids the names of basic shapes as it tells a story of Mickey and his friends taking a hot-air balloon ride. As they float over their clubhouse and the surrounding lands, they spot hearts, triangles, rectangles and squares. 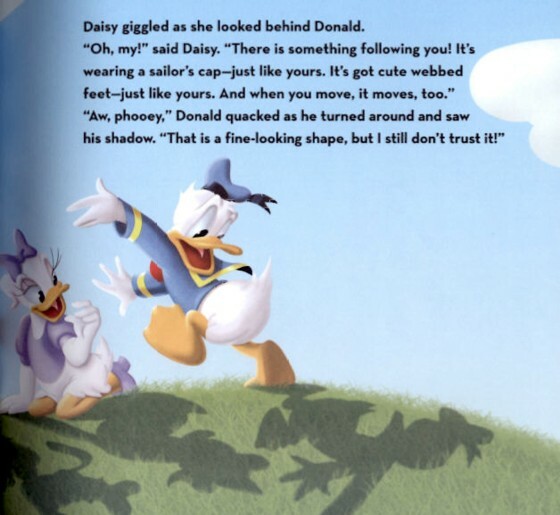 Later, they learn to find their way home by noticing which way their shadows fall on the ground.